CHINA’S tech industry is far better-known, far more creative, and far more successful than it was ten years ago. But China is still often criticized as lacking innovation. 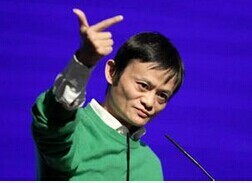 Alibaba founder Jack Ma addressed China’s innovation gap head on in a speech on Monday and a convention in Shanghai, and put the blame on China’s education system, or at least one part of it. A brief Chinese lesson is necessary to understand one of Ma’s points here, though. The Chinese term for education is jiaoyu, a compound word made up of two characters. The first, jiao, means teach and refers to teaching, pedagogy, and what happens in the classroom. The second, yu, means foster or nourish and here refers to the broader process of raising a child both in and out of the classroom. “I want to talk with everyone about innovation. We often say that America and Europe are more innovative than us, that China’s innovation is not good and that the education [jiaoyu] system is to blame. Actually, I think China’s jiao is fine. The problem is with the yu. In terms of jiao, China’s students test better than anyone in the world, but yu is about fostering culture and emotional IQ.